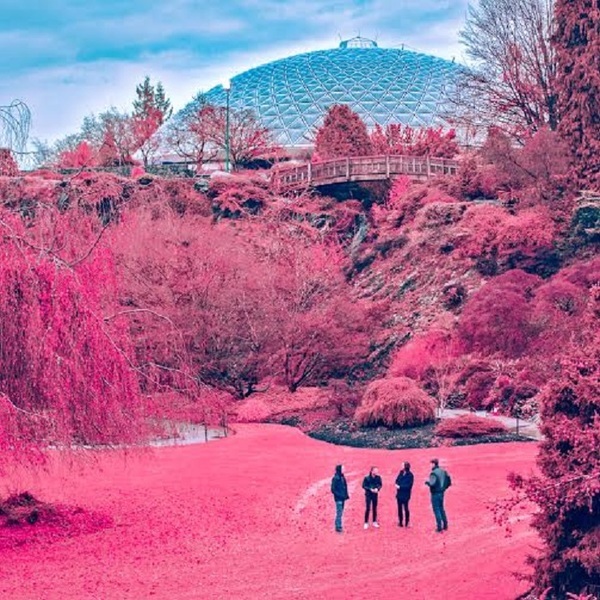 Vancouver's the Zolas last left us with a mini-bottle's worth of music via the Wino Oracle EP, but the band are now about to pour us a full glass of indie pop in the form of their third full-length, Swooner. You can get drunk on its sounds once Light Organ releases it on March 4. A press release notes that the group self-produced this latest set at founding member Tom Dobrzanski's Monarch Studios in Vancouver. It's the first full-length offering from the current lineup of Dobrzanski, Zach Gray, Cody Hiles and DJ Abell. Opener "Molotov Girls," "Fell in Love with New York" and "Male Gaze" had all appeared on last fall's Wino Oracle EP, but the album also features seven brand new cuts. Swooner is apparently a much different experience than 2009's Tic Toc Tic or 2012's Ancient Mars, with the album said to flirt with "grungy hard-panned guitars, Prince-like synth flourishes, euro-dance vocals, electric pianos and arpeggiators," and more. As for the feel of Swooner, Gray explained in a statement that the album "is about how fucked up it feels to step out for a cigarette and a quiet moment at a party, read about disease and climate catastrophe on your phone, finish your cigarette and go back in to dance." Dumbing it down a shade, he added: "It's the realest, most fun album we've ever made by far." Down below, you'll find a stream of newly premiered synth-pop track "Get Dark," as well as Swooner's tracklisting and a clutch of overseas concerts listings. A North American tour should be announced sometime next week.